As we embark on another year it’s interesting to check out what’s trending for the new year. But more specifically for weddings in the new year. This year will see many trends come to fruition and one that has come to light is the new wedding food and drink trends for 2018, although not all of them will be new. These have all come from various people and places and are each said to help you create the wedding of your dreams. With that said let’s have a look at what these trends are. Local – More people seem to be realising that locally grown food is not only healthier, but it tastes a lot better too. As one of the trends for 2018, this should bring in more fruit and vegetable to the wedding menu. This particular trend is great for those on a tight budget as there will be no high delivery prices for food and it may even be that you make and deliver the food to the venue the day before in order to further save. However, as long as it’s locally grown and bought, it shouldn’t cost you much. Fresh – Fresh food generally tastes better and offers a lot more nutrients. Whilst it may be a celebration it’s important that you give your guests a healthy option and the best food. Fresh food also goes hand in hand with locally grown food, this means that not only are you supporting local business and saving money but your food will be as fresh as humanly possible as it won’t need to travel far. Creative – Something that is said to take off in 2018 is creative food. These are dishes that aren’t generally placed together but have been in order to serve a quirky dish. Not only can this be a creative way to serve but also unique, and you can also give your guests the option to choose which dishes they would like to mix. 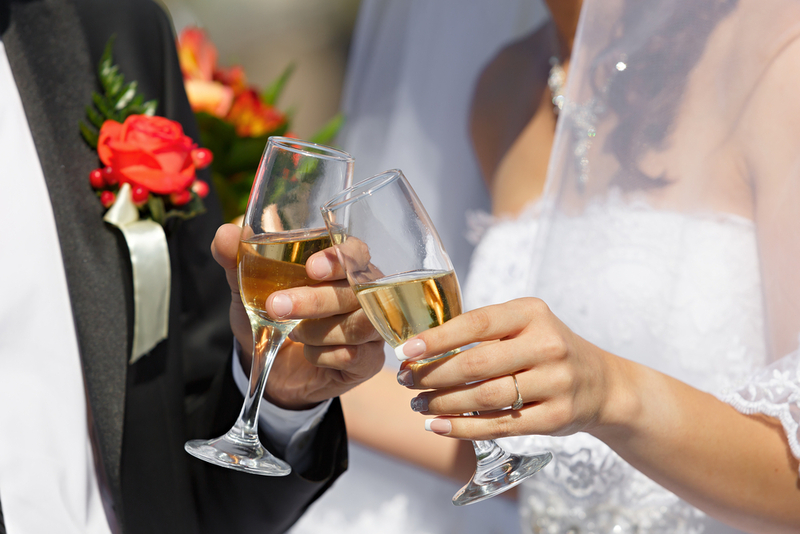 Go Hot – Although weddings are meant to be a celebratory occasion with alcohol, it doesn’t necessarily mean that the drink has to be cold. More weddings are supplying hot drinks that are mixed with alcohol, but of course, this isn’t everyone’s cup of tea so it’s best to give a wide variety of options. From luxuries such as premium coffee to vodka, give your guests the option to mix. Cocktails – Cocktails have been a fashionable drink for some time, but they are said to become extremely popular at weddings. Ideal for those having a summer wedding this trend could be one that sticks around. Everyone likes a drink at a wedding and with a large variety of cocktails, theirs bound to be something for everyone. Minimalist – One trend that has appeared popular is to serve food in a minimalist fashion and it’s said to be trending way into the new year. This is ideal for any wedding and can look spectacular. However, it is a trend that your guests might not like. If there isn’t enough food on plates or menu then guests may be left hungry, so if you are going for a minimalist style, serve more. 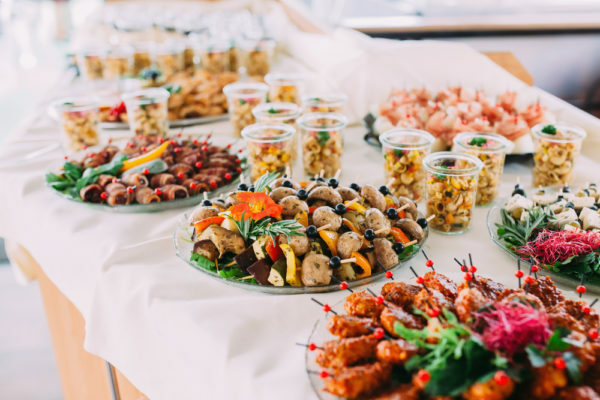 Buffet – Buffets have been popular since they were first thought of and while they have been used as a way to serve food at weddings for years, it appears that this is a trend that has not died out. Giving guests a larger variety of food and allowing them to eat as much as they want has proven to be a great serving choice both with the wedding party and of course, the guests. Follow this trend into 2018 and you know your guests will be happy. Some of these trends might be perfect for your big day but remember you don’t always need to follow trends, you can make your day unique by serving food and drink in a completely different way.